And that’s that – in a matter of two hands, the first ShaneWarne.com Super Stack title has been decided with NSW’s Steve Baker (pictured below) emerging victorious. Katrina King finished in third after she shipped the last of her stack with 8-4, while Baker revealed K-3. Both connected the flop of K-86, but the turn Q and river 7 get Baker ahead. Entering the heads-up duel with Canaan Johnson holding about 70 per cent of the chips, it was over on the first hand when Johnson shoved with 10s-8d, and Baker called. He showed Kd Jc and didn’t need nay help as the board ran out 2h-4s-Ad-7c-4d, ensuring the 31-year-old fraud investigator a spot in Aussie poker history. That brings to a conclusion our coverage of the ShaneWarne.com Super Stack event – we’d like to thank the team at Crown and ShaneWarne.com for their support. Keep an eye on the PMA Live Reporting page for details of our next event for coverage. With the lion’s share of the prizepool already allocated, the play is coming loose and fast as Katrina King, Canaan Johnson and Steve Baker play for a small percentage of the remaining money along with the ShaneWrane.com Super Stack trophy. In the meantime, the rest of the poker room seems fairly happy with New Zealand’s win over France in the Rugby World Cup final, although we suspect most are speaking through their pockets rather than any undying loyalty to the Land of the Long White Cloud! The remaining three players are deep in discussion regarding a deal after the departure of Janine Atkinson in fourth place. It was 10c-5c for Atkinson against the Ah-6s for Katrina King. The board flowed Q-Q-4-9-8 adding a further one million to King’s stack. She leads on 7.78 million ahead of Johnson (5.51 million) and Steve Baker (4.86 million). There’s just over 10 minutes to play at level 28 (150,000/300,000; ante 30,000). Blinds have climbed to 150,000/300,000 with an ante of 30,000 in the wake of John Tuckman’s departure in fifth. Tuckman shoved his more than three million holding A-6, and Katrina King didn’t have to think long before calling and showing Q-J. The board ran out K-J-J-9-10, first giving her trips then a straight. King has regained the chip lead as a result. She’s up to 7.1 million, about one million ahead of Canaan Johnson. They hold more than 70 per cent of the chips in play. Canaan Johnson continues to steam roll over the final table, with Petar Vujic his latest scalp. Johnson’s pre-flop raise was met with the cry of “all-in” from Vujic for just over one million, and the chip leader quickly came along for the ride. He showed a modest 10-4 against K-8 for Vujic, but the flop of 10-9-4 hit Johnson twice. It ran out 7 A, Vujic is out in sixth and Johnson is up to 6.1 million. After a cautious start, the rate of eliminations has returned to what we’ve become accustomed during the day with day one chip leader Ben Pockett the latest casualty. Looking more anxious with every hand, Pockett picked a pretty solid spot to make his last stand with pocket queens, and was in reasonable shape against the Kh Jh of John Tuckman. That was until the board flowed 8c 6h Jc 5s Kc, giving Tuckman two-pair and propelling his stack to 2.6 million. The blinds are on their way up to level 27 (100,000/200,000 with an ante of 20,000) for the remaining seven players as Queensland 888PL qualifier Jeffrey Harris heads to the payout desk to collect his $4720 as the eighth-place finisher. Ironically, it was a set of eights that sent him to the rail after he committed the last of his chips with pocket 10s against the pocket eights of Katrina King. An eight in the window was enough for King to take the lead and the pot. Two players have been eliminated on the same hand in a sensation start to the ShaneWarne.com Super Stack final table. Alex Ung was all-in for 675,000, Chris Whitmee followed an all-in of his own for 2.4 million as did Canaan Johnson. It was Kd Qh for Ung, 10d 10s for Whitmee and Johnson holding the dominant Ks Kc. The board flowed 9c 3c 2c Qc 7s to give Johnson the biggest pot of the tournament and the chip lead with approximately 5.5 million. Shane Warne is keenly watching the action as the opening hands are played out in the tournament bearing his name – the ShaneWarne.com Super Stack tournament. Looking fitter than ever, Warney shared some words of support with each of the 10 players before wishing them the best for the battle ahead. After such a dramatic afternoon with such wild swings in the chip count, it’s surprising to find no player under immediate threat with the blinds at 75,000/150,000 (ante 15,000) although even chip leader Steve Baker can’t sit back and let the other players do the work for him. 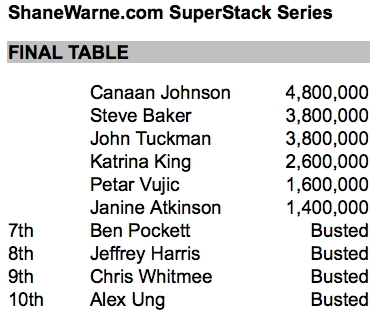 The final table of 10 has been decided in the ShaneWarne.com Super Stack at Crown. The clock had just ticked past 6pm when Ed Elliott made a big swing at the board of Ah Kd 6s 2h with a bet of 250,000. Steve Baker called, the river feel the 9c and Elliott pushed all-in. Baker called and showed A-8 for top-pair, besting Elliott’s K-10 and sending him to the rail in 11th. The remaining 10 players – Baker, Ben Pockett, 888PL qualifier Jeffrey Harris, Alex Ung, Chris Whitmee, Canaan Johnson, Katrina King, Janine Atkinson, John Tuckman and Petar Vujic – are off for a bite to eat and when they return, Shane Warne will be here to wish them all the best in pursuit of the $35,000 first prize. We’re about to enjoy – be back at 7pm (AEDT). So there’s 13 players left and Ben Pockett (pictured below) is facing an all-in bet of 666,000 after his initial raise. What would you do? Even a player with only a sliver of superstition would be horrified by those numbers, and Pockett piffed ’em. The field is now down to 11 after the departures of Dean Yates (14th), Aaron Suffield (13th, after running K-Q into the pocket aces of Jeffrey Harris) and Andrew Watson, who became the latest victim of new chip leader Canaan Johnson (up to 3.1 million). Everyone’s looking for a spot to gamble, and there’s no better time to do so than with pocket aces – or so Nick Corish thought so. His rockets were up against the jacks of Ed Elliott, and all seemed in order until a jack sailed down the river to send Corish out in 15th position, leaving the field down to two tables of seven. We’ve also just heard that the man of the hour Shane Warne will be making an appearance at the start of the final table to wish the remaining players all the best as they chase the first prize of $35,000. Blinds are up to an astronomical 40,000/80,000 with an ante of 8000 and 15 players are chasing one of the nine spots at the ShaneWarne.com Super Stack final table. Recent eliminations included Nick Porta (18th), Joao Lay (17th) and well known Crown regular Andrew Demetriou, who ran his pocket jacks into the pocket aces of one of the two female players still in the field – Janine Atkinson, whose stack is up to 1.2 million. The field in the ShaneWarne.com Super Stack has been condensed to just two tables after the eliminations of Sam Tan in 19th and Nathan Vistarini in 20th. Tan’s departure was particularly dramatic after he sent his A-7 to work against the pockets nines and pocket queens of his opponents. Queens took the main pot, nines the sidepot and Tan was off to collect $1100 from the payout desk. We’ve moved up to the next payout level, with the next seven players earning $1250. We started the day with 138 but just 23 players have taken their seats after the second break in the finale to the ShaneWarne.com Super Stack at Crown. 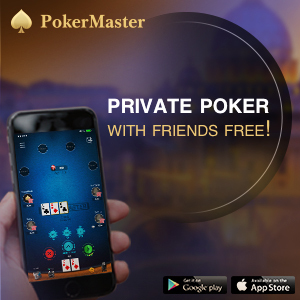 Blinds are at level 23 (30,000/60,000 and a 5000 ante) and the average stack is just under 800,000 leaving the pressure on virtually every player at the remaining three tables. Steve Baker is the chip leader on 2.2 million ahead of Ben Pockett (1.5 million), Eugene Portlen (1.3 million), PocketFives Triple Crown winner Andrew Watson (1.3 million) and Nick Vujic (1.25 million). The field in the ShaneWarne.com Super Stack has been reduced to four tables and 31 players as we tick into level 22 (20,000/40,000 with an ante of 4000) and an average stack of 585,000. Only the brave are trying anything as sophisticated as a three-bet with the price to play up to 92,000 per orbit! But that hasn’t bothered Katrina King (pictured below), who’s shot to 900,000 with the bulk of her stack accumulated since the bubble. Steve Baker has just regained the chip lead after claiming another two victims in recent minutes. He started with inferior hands in both pots – pocket nines against pocket kings (nine on the turn) and K-J versus A-Q (10 on the river to make a straight). His stack is north of two million and clearly the biggest in the room. Yigo Sun and Nick Corish started the day among the chip leaders but it’s been a tough day for both, which just ended for Yigo when he committed the last of his stack with 10-8 against pocket queens. A queen on the flop gave Corish a timely double-up as the next pay bracket looms large. In contrast, Aaron Suffield started the day among the shorter stacks, and his stocks continue to rise after used pocket queens of his own to KO Richard Dragt. The ladies made a friend on the flop to leave Dragt’s deuces bereft. The blinds are at level 21 (15,000/30,000 with a 3000 ante) with the average stack at 490,000 and 37 players still in contention. Day one chip leader Ben Pockett is back at the head of the count on 1.3 million. 3.15pm: 54 to 45 didn’t take long! We’re already into the next pay bracket with players who finished in positions 46th-54th collecting their $630. Blinds are up to 12,000/24,000 with an ante of 3000 and with a chip average of almost 380,000, the bulk of the field remains under the pump. Some big stacks are starting to emerge, with Nick Vujic and Steve Baker holding just shy of one million while Justin Ghattas and Nick Porta (pictured above) have around 800,000. Incredibly, almost 100 players (93 to be exact) have already been KOed today. The ferocious pace of the opening three hours finally gave way to some considered play on the bubble of the ShaneWarne.com Super Stack event. Four players held stacks of less than 80,000 (with blinds at 10,000/20,000 and an ante of 2000) but it still took five hands for the bubble player to leave the tournament area after his 10s were cracked by kings. One hand earlier, another short stack had shoved with pocket aces and found himself up against pocket jacks but found an ace on the flop and river for the ultimate escape act! There are plenty of short stacks now desperately trying to hang on for a minimum payout of $630 with just four players set to miss out on a cash in the ShaneWarne.com Super Stack. But big Steve Baker (pictured above) isn’t sweating the bubble. His stack has been steadily climbing all day after starting at 177,500 and he now sits among the chip leaders with 875,000. His latest victim came just before the last break when he bet the pot of 33,000 on a flop of 10-7-6. His opponent declared all-in for an extra 60,000, Baker snap-called and showed pocket kings, which dominated pocket deuces to the river. Players are taking their first break of the day with less than half of the 138 players who took their seats barely two hours ago still in the race for the first ShaneWarne.com Super Stack title. One player very pleased with his start to the day was Petar Vujic. His climb toward to the top of the chip count started when he found himself in a massive pot against Steve Baker with a flop showing 4d-3c-Qd. Baker was chasing a flush while Vujic started and stayed ahead with A-Q. On the next hand, Vujic (pictured above) was at it again when he picked off a short stack with pocket queens against an opponent’s Qh-3h, which failed to improve. He’s now up to more than 900,000 and well positioned for a charge at the final table. When they return, blinds will be at 10,000/20,000 and an ante of 2000, while the average stack is yet to crack 300,000. You’ll rarely see a more diverse field contesting a major event at Crown as evidenced by players spread around the nine tables still in use this afternoon. Many players won their seats online or through the 888PL, while the live satellites at Crown during the week also helped build the field. We’ve also spotted a smattering of Crown regulars, such as Antonio Casale who was sixth in the 2008 Aussie Millions Main Event. He pocketed $300,000 for that result, and while today’s winner will take home not much more than 10 per cent of the payout, the old timer is just as enthusiastic and demonstrative at the table. Blinds have just ticked up to level 18 (8000/16,000 with an ante of 1000) with almost half of the 138 starters already sent to the rail. With 76 players still seated, we’re only 22 players from the bubble. The chip average is almost 240,000. With an average chip stack of barely 14 big blinds, it was hardly surprising to see the chips flying thick and fast during the first 30 minutes of play. Already 30 players have left the tournament area with just over 100 still seated with blinds now up to 6000/12,000 and an ante of 1000. The average stack is approximately 165,000. The cards are in the air with all eyes on chip leader Ben Pockett, who led the count at the end of day 1B on 425,900. He leads day 1A pacesetter Geordie Baker with John Toutzaris, Nick Corish, Alex Ung and Tibo Sun the only other players holding more than 300,000 in chips. Blinds have kicked off at level 15 (4000/8000) and the average stack is just over 130,000. Welcome to PokerMedia Australia’s coverage of the first ShaneWarne.com Super Stack event, live from the Crown Poker Room in Melbourne. After two day one flights (including yesterday’s repechage) which generated a field of 606, a total of 138 players are returning to the felt for a shot at the $35,000 first prize and one of the 54 players in the money. 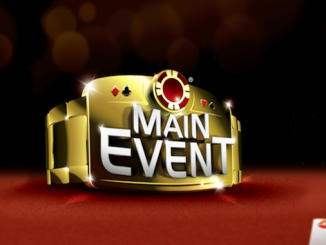 Cards will be in the air in the next few minutes, so ensure you have our tournament reporting page bookmarked for a massive day of cards in Australia’s premier poker room.